Stockton North MP Alex Cunningham has demanded action from the Government after finding out that hundreds of people could have illegally bought driving licences online without even having taken a test or provided ID. The ability to obtain illegal driving licences has extremely worrying implications for the community. The safety of other motorists and pedestrians is being put at risk as non- qualified people could be driving on our streets, and it is very likely that a website where you can obtain driving licences using dubious bank accounts and requiring no formal ID would have links with organized crime. Alex has written to ministers at the Department for Transport asking them what action they are taking to close down websites which charge as much as £700 for a driver’s licence, and what the Government is doing to warn the public of the dangers and consequences of acquiring illegal documents like driving licences through the internet. 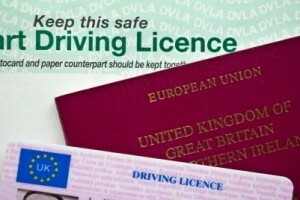 “I am absolutely appalled that a website selling UK driver’s licences, with no regard as to whether someone is fit or not to drive, is allowed to operate in this country.